Until the 1940s it was tradition for a wedding to have two cakes – one for the bride and one for the groom. While the tradition has faded in parts of America it’s still strong in the south. 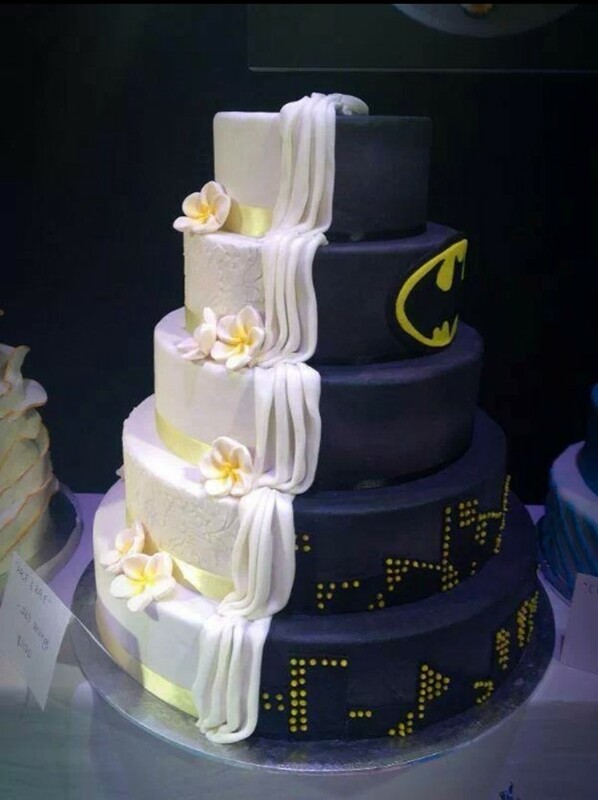 The bride’s cake is the main one. It is larger and fancier and embodies the colours and the theme of the wedding. The groom’s cake is usually more representative of the groom’s personality and a way for them to leave their own mark on the wedding. Thus the groom’s cake might have R2-D2 on it, the logo of a favourite sports team, or be in the shape of an Xbox.